So, Joseph K.. "Ben Heppner". The Canadian Encyclopedia, 15 December 2015, Historica Canada. https://www.thecanadianencyclopedia.ca/en/article/ben-heppner. Accessed 21 April 2019. In the early years, Heppner's voice was that of a lyric tenor - he won the CBC Talent Competition with Don Ottavio's aria, "Il mio tesoro," from Mozart's Don Giovanni. 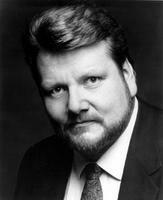 Ben Heppner, tenor (b at Murrayville, BC 14 Jan 1956). Recognized as one of the finest dramatic tenors in the world today, Heppner was born to a farming family of Mennonite immigrants and grew up in Dawson Creek, BC. He attended Central Junior High School and South Peace Senior Secondary School, graduating in 1973. Heppner pursued further studies at the Canadian Bible College in Regina, SK (1973-74) and UBC (1975-79), studying voice with French Tickner. In 1979 Heppner won first prize at the CBC Talent Festival. He made his operatic debut as Roderigo in Otello for the Vancouver Opera Association in 1981. Moving to Toronto, he attended the University of Toronto Opera School in 1981-82, after which he joined the Canadian Opera Company Ensemble (1982-84). In the early years, Heppner's voice was that of a lyric tenor - he won the CBC Talent Competition with Don Ottavio's aria, "Il mio tesoro," from Mozart's Don Giovanni. Among the roles he sang in his early career were Ernesto (Don Pasquale), Achilles (La Belle Helene), Alfred (Die Fledermaus), Rodolfo (La Boheme), Camille (Merry Widow) and the title role in Les Contes d'Hoffmann, mostly with the COC Ensemble on tour. In 1987, under the tutelage of voice teachers William Neill and Dixie Ross Neill, he made a successful transition to the spinto voice category, specializing in the Germanic repertoire. His first engagement after making the vocal transition came in the same year, in an Australian production of Ariadne auf Naxos. In 1988 he was among the 11 finalists in the Metropolitan Opera Auditions in New York and won the prestigious Birgit Nilsson Prize, which led to his European debut as Lohengrin with the Royal Swedish Opera in Stockholm in March 1989. In September of that year Heppner travelled to Moscow with the Royal Swedish Opera for performances of Lohengrin at the Bolshoi Theatre. He made his US debut in the fall of 1988, when he sang Walter von der Vogelweide in a new production of Tannhauser at the Lyric Opera of Chicago. Additional debuts that season included the Prince in Rusalka with the Opera Company of Philadelphia and Walther von Stolzing in a new production of Die Meistersinger von Nurnburg with the Seattle Opera. Among early career highlights was his unexpected Metropolitan Opera debut as Idomeneo in December 1991, replacing an indisposed Luciano Pavarotti. (Heppner was scheduled to make his Met debut later that season.) Since then, he has become a favourite of Met audiences. Heppner has appeared in virtually all major opera houses in the world: La Scala, Covent Garden, Vienna State Opera, Bavarian State Opera (Munich), Frankfurt Opera, Hamburg Opera, Cologne Opera, Grand Theatre de Geneve, Salzburg Festival, Teatro Colón (Buenos Aires), L'Opera de Marseille, Theatre Royal de la Monnaie (Brussels), Netherlands Opera, Maggio Musicale Fiorentino and Paris Opera. In addition to the Metropolitan Opera, Heppner appears regularly in North America at the Lyric Opera of Chicago, San Francisco Opera, Seattle Opera, Canadian Opera Company and Vancouver Opera. Possessing a voice of clarion power that combines lyrical beauty with dramatic thrust, Heppner has made his mark around the world singing a remarkably wide repertoire that encompasses the heroic roles in the operas of Wagner and Strauss, the classical works of Mozart, Beethoven and Weber, the Italian operas of Verdi and Leoncavallo, the French operas of Berlioz and Massenet, and the 20th century works of Britten and Bolcom. Among his signature roles are Walther von Stolzing (Die Meistersinger von Nurnburg), Florestan (Fidelio), Lohengrin, Peter Grimes and Tristan. Considered by many to be the pinnacle of the heroic tenor repertoire, Heppner has sung the title role of Wagner's Tristan und Isolde to critical acclaim in Geneva, Seattle, Berlin, New York, Chicago, Salzburg and Florence. Critics and audiences alike have commented on the beauty of his voice and his moving portrayal, hailing him as the "Tristan for the Ages." Of his first staged performance of the role for Seattle Opera, F.B. Sinclair wrote in Opera News: "Heppner's silver- toned Tristan was sung as beautifully as any in memory." Heppner's venture into the dramatic tenor category follows in the footstep of another great Canadian, Jon Vickers, to whom Heppner has often been compared. Heppner himself is wary of such comparisons. Even though they sing a very similar repertoire, Heppner considers his own voice to be that of a "large lyric" rather than a typical "heldentenor." Heppner's characterization of Peter Grimes, arguably Vickers's signature role, is also different. While Vickers's portrayal of the fisherman is one of galvanizing intensity, Heppner's is entirely more sympathetic and vulnerable. Indeed, Heppner says he tries to find the goodness in every character he portrays on stage. With worldwide prominence has come the opportunity to work with some of the biggest names in the conducting world, including James Levine, Sir Georg Solti, Wolfgang Sawallisch, Colin Davis, Daniel Barenboim, Giuseppe Sinopoli, Claudio Abbado, Riccardo Chailly, Mstislav Rostropovich, Edo DeWaart, Michel Plasson, Seiji Ozawa, Sir Andrew Davis, Arman Jordan, Kent Nagano, Zubin Mehta and others. Heppner frequently appears as soloist with leading orchestras, including the Metropolitan Opera Orchestra, Berlin Philharmonic, London Symphony Orchestra, Philadelphia Orchestra, the Toronto Symphony Orchestra and the Orchestre symphonique de Montréal. He is justly famous as soloist in Mahler's Das Lied von der Erde and Schoenberg's Gurrelieder, two works that figure prominently in his schedule in recent years. A prolific recording artist, Ben Heppner has committed to disc a number of operas, including Die Meistersinger von Nurnburg (two different recordings), Der fliegende Hollander, Die Frau ohne Schatten, Ariadne auf Naxos, Fidelio, Herodiade, Lohengrin, Oberon, Rusalka and Turandot, plus a dozen orchestral and solo recordings. His voice can be heard on BMG/RCA, Teldec, Decca, EMI, Sony and CBC labels. In recent years, several Ben Heppner TV specials have aired, including a documentary by Adrienne Clarkson for the CBC entitled "Something Special - Portrait of a Tenor," and "An Evening with Ben Heppner," produced by the Bravo! Network. A live performance of Tristan und Isolde, taped at the Metropolitan Opera in December 1999, was telecast on US public television in March 2001. Heppner is the recipient of numerous awards and distinctions, including appointment as a Companion (2008) of the Order of Canada; two Juno Awards for Best Classical Album (2000 and 1996); Gramophone Award: Record of the Year (1999); International Emmy Award for Best Performing Arts Program (1999); Grammy Award for Best Opera Recording (1998); Honour Roll of Maclean's magazine (1998); Honorary Doctorate (LL.D.) from UBC (1997); National Arts Centre Award for Outstanding Artistic Achievement (1995); Vanier Award: Toronto Junior Board of Trade (1994); and ECHO Deutsche Schallplattenpreis: Singer of the Year (1993). In 1997 the mayor of Dawson Creek, BC, renamed the main street "Ben Heppner Way" in his honour. Despite his fame, Heppner remains remarkably focused on the two most important things in his life: his family and his faith. He limits his stage appearances to about 50 a year to avoid being away from home for long stretches, and takes every other summer off from major opera productions to recharge his batteries and spend time with his family. A man of strong religious beliefs and a supporter of many civic and philanthropic causes, Heppner is a member of the First Alliance Church (Christian and Missionary Alliance in Canada), Scarborough, Ont. He is also the spokesperson for the Canadian Lung Association, and has appeared in benefits for the Mennonite Central Committee (MCC), Mennonite Economic Development Association (MEDA), Canadian Bible College, Centre for Cultural Renewal (CCR), University of British Columbia, Ben Gurion University and World Vision. He maintains strong ties to the West, evidenced by his serving as Honorary Patron of Festival Vancouver, Vancouver Cantata Singers, Vancouver Chamber Choir, Brookstone Performing Arts and the Guild Renaissance Group.